Who were The Pony Express and where did they hail from? That's a question I've been asking myself today and despite some research have failed to solve this little query. They got a mention in 'Fuzz, Acid & Flowers' who confirmed that they released at least two singles on Reprise. The first one listed is 'What Is Wrong With Our Love'/'Big Brown Eyes' (Reprise 0603) from June 1967 and this one reviewed from December 1967. '(I Dream Of) Pennies' is finely balanced on the cusp of innocent naive sunshine pop and psychedelic trippiness. It glides along on a perfectly summery Sesame Street type bouncy rhythm, until you notice the trippy distorted background vocals. Some decent harmony sighs at the start of the break. 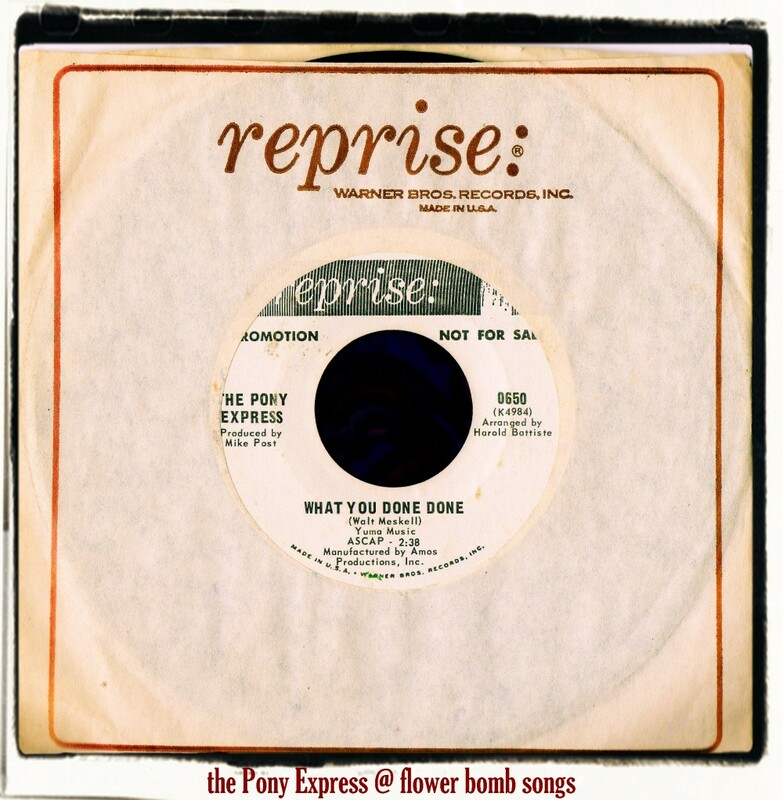 The flip 'What You Done Done' is slightly more beaty with tougher vocals but with sunshine pop 'bah, bah, bah's...a strange and effective mix of Association pop with garage. I don't think The Pony Express have been compiled before. Can you post these tunes I like to hear them? Thanks! I'll be compiling some of them on a bespoke compilation called 'Turn On The Lyte' which I'll give away to people who buy my next batch of Gear! comps. I've got no plans to make a YouTube video for this song or any of the others I've wrote about recently. Walt Meskell was associated with the 70's teen idols the DeFranco Family.